How To View Wi-Fi Properties In Windows 10? This tutorial explains how to view Wi-Fi properties in Windows 10. 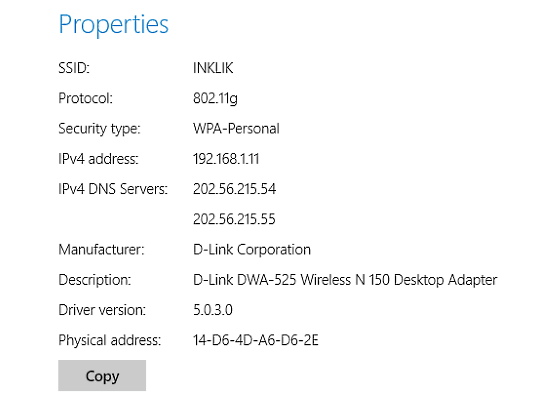 You can easily find out Wi-Fi properties like network SSID, protocol etc., in Windows 10. 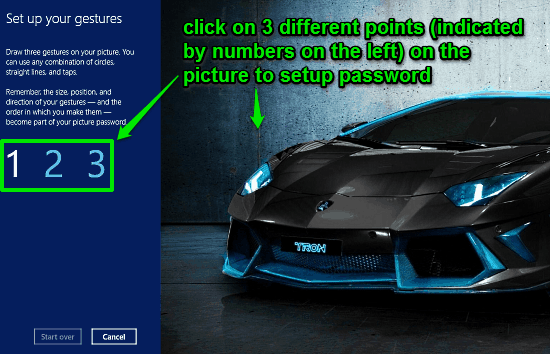 How To Enable Picture Password In Windows 10? This tutorial details how to enable picture password in Windows 10. You can enable picture password in Windows 10, and use any favorite image as a password. 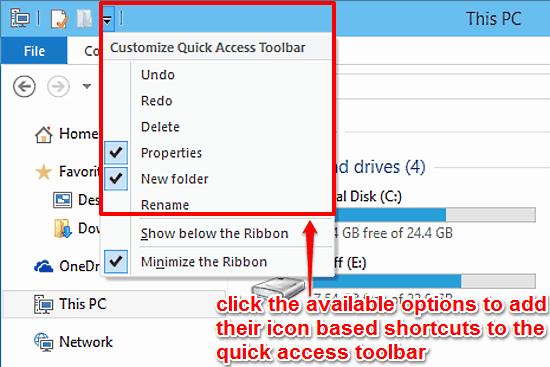 How To Customize Quick Access Toolbar In Windows 10? How To Pause App Notifications For A Certain Duration In Windows 10? This tutorial explains how to pause app notifications for a certain duration in Windows 10. 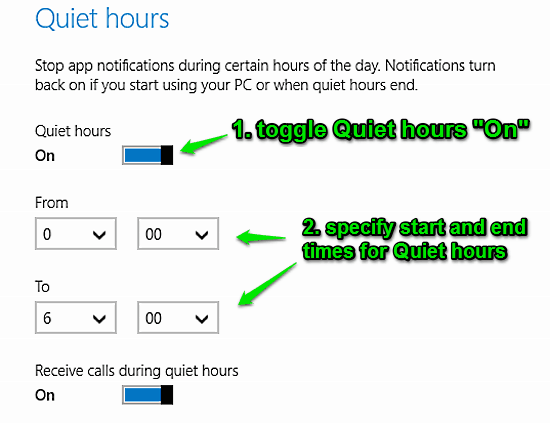 We will use Quiet Hours Feature of Windows 10 for this. 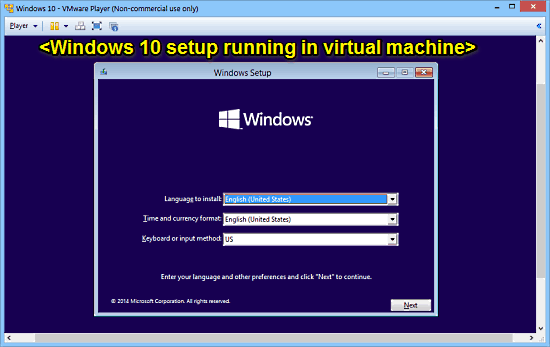 How To Install Windows 10 On A Virtual Machine? 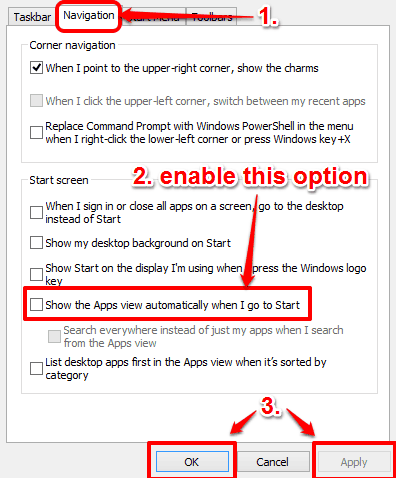 How To Change General Privacy Options In Windows 10? 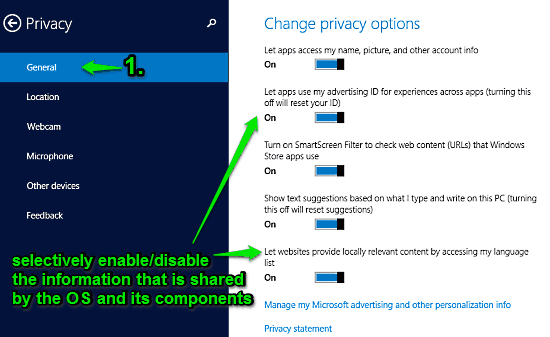 This tutorial explains how to change general privacy options in Windows 10. You can easily control personal information that Windows 10 collects about you. This tutorial explains how to install Windows 10 from ISO file without DVD or Flash Drive. You can directly install Windows 10 from ISO, after mounting it. How To Backup PC Settings To OneDrive In Windows 10? 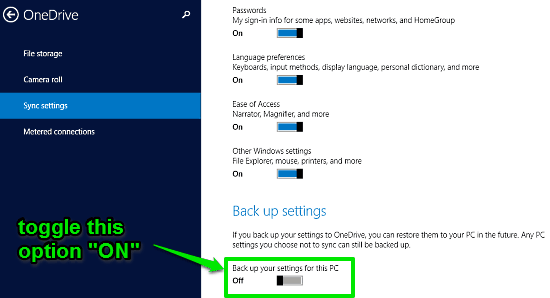 This tutorial details how to backup PC settings to OneDrive in Windows 10. You can backup some or all PC settings to OneDrive and easily restore them later. How To Sync Settings Between Multiple Computers In Windows 10? 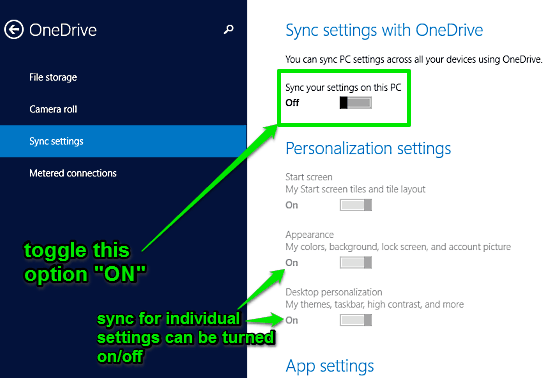 This tutorial explains how to sync settings between multiple computers in Windows 10. You can automatically sync some or all settings across different PCs. How To Turn Off Location Services In Windows 10? 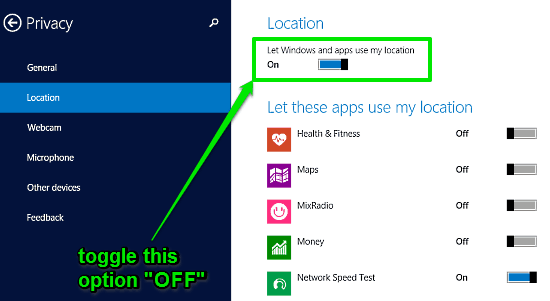 This tutorial explains how to turn off location services in Windows 10. You can turn off automatic location tracking by Windows 10 for some, or all apps. 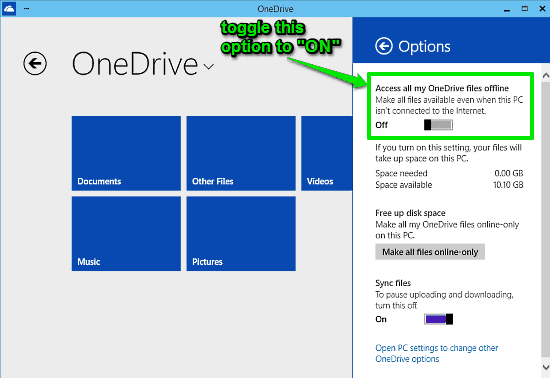 How To Access OneDrive Files Offline In Windows 10? This tutorial explains how to access OneDrive files offline in Windows 10. This ensures that you have access to your OneDrive hosted files, at all times. 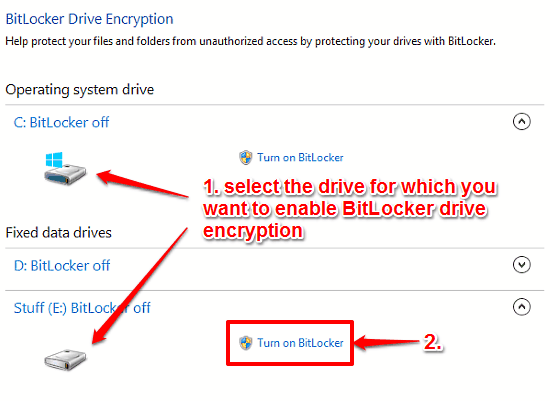 How To Enable BitLocker Drive Encryption In Windows 10? This tutorial explains how to enable BitLocker Drive Encryption in Windows 10. It uses AES-256 algorithm to encrypt complete volumes to secure digital data. How To Add Folders To Favorites In Windows 10? This article explains how to add folders to favorites in Windows 10. Adding folders to favorites lets you quickly access them from one convenient location.